The parallel histories of Jazz music and hollow-body electric guitars have been manifested in the Artstar. 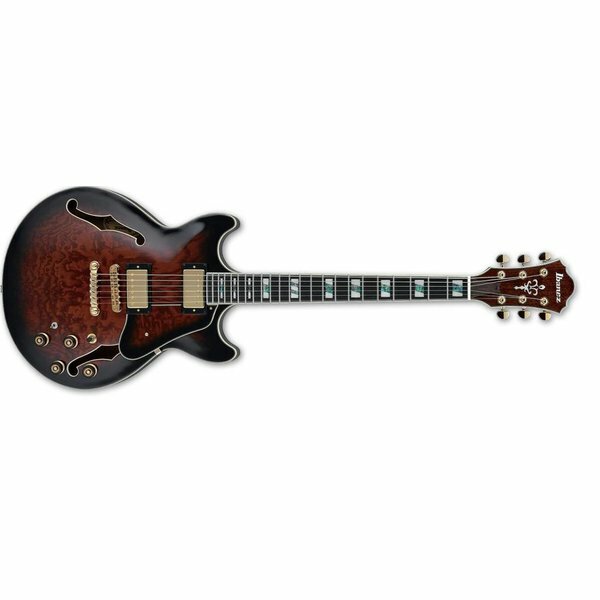 The influences of these legendary instruments are immediately apparent with bone nut, ebony fretboard, and Ibanez's signature Super 58 custom pickups. The critical eye will appreciate the details like the smoothness of the fretboard and a skilled crimping technique generally found on instruments costing twice as much. The Artstar is a pure jazz-box that embodies the continual innovation that is Jazz. The Ebony fretboard with Artstar fret edge treatment produces a tight low and mid range with an iconic attack on the high end. It also features a quick response and rich sustain. The Tri-Sound switch for the neck pickup allows you to select Humbucker in series (traditional), parallel (brighter, single coil type tone w/ lower output and hum cancellation) or coil-tapping for a single coil sound.